You are here: Home / Smoothies for You! What Could Green Do For You? If we have talked or you have read my blog, you know I normally encourage you to drink plenty of water, eat real food, get regular exercise and sleep at least 7 hours each night. But if you need a shortcut, I have just the thing. Drink a nutrient infusion for your cells – in the form of a GREEN SMOOTHIE! How can green smoothies support you through your busy days? 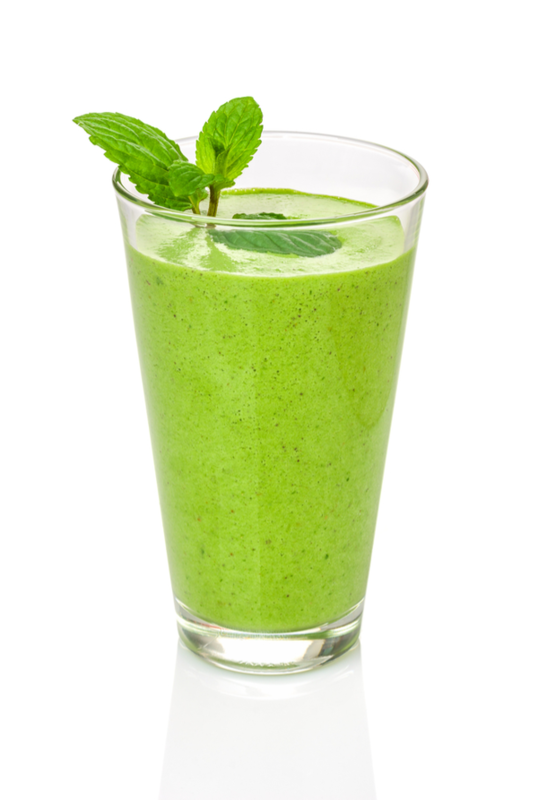 Green smoothies offer nutrition that is easily absorbed to nourish your cells. You can start your day with a green smoothie, have one for a snack, or drink one just before you leave home for a party. You choose and your body will benefit! Are you wondering how you would know what to put in these green smoothies, and how it would taste? Not to worry! I have a collection of green smoothie recipes that will take the guesswork out of mixing the right ingredients for a delicious nutrient infusion for your cells. and how much more resilient your immune system is! The Everyday Smoothie Guide provides the biggest collection of recipes that encourage you to explore some fruit you may not have tried as well as some alternate sources of protein. And you can always add your favorite protein powder to a smoothie! How many of you know a child who resists eating vegetables? A smoothie is a great way to get an extra serving or two of fruit and vegetables into your picky eater. The Kid Friendly Guide gives you a variety of recipes with names your kids will love and flavors that will entice them to chug it down! The Holiday Edition guide provides recipes that use holiday flavors, such as pumpkin, cinnamon, raspberry mocha, and peppermint to give you some delightful variation in flavors with the “green” base of the smoothie. Your body can be enjoying the benefits of this yummy green goodness very soon! Here’s to you as you pursue wellness with a delicious green smoothie!